This is the front of the tag. The reverse is shown below. We print different design tags for Florists (also free). If you are not ordering tags for a Flower Arranging Society or for a Women's Institute then please click HERE to be taken to the right page for your tags. 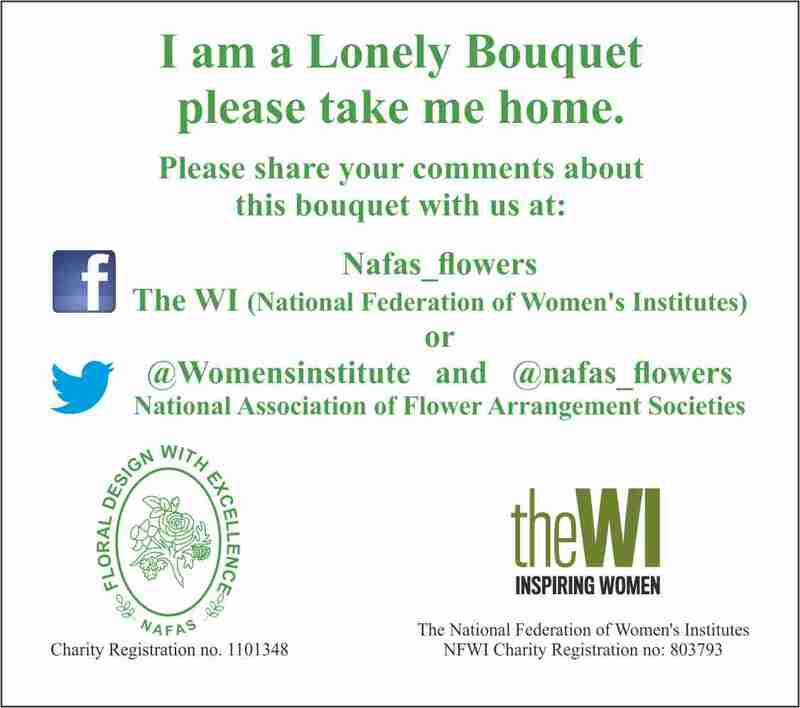 The Lonely Bouquet is a heart-warming idea that we are happy to support all through the year, not just for the NAFAS/WI day on Friday 5th May and International Lonely Bouquet Day on Sunday 25th June. 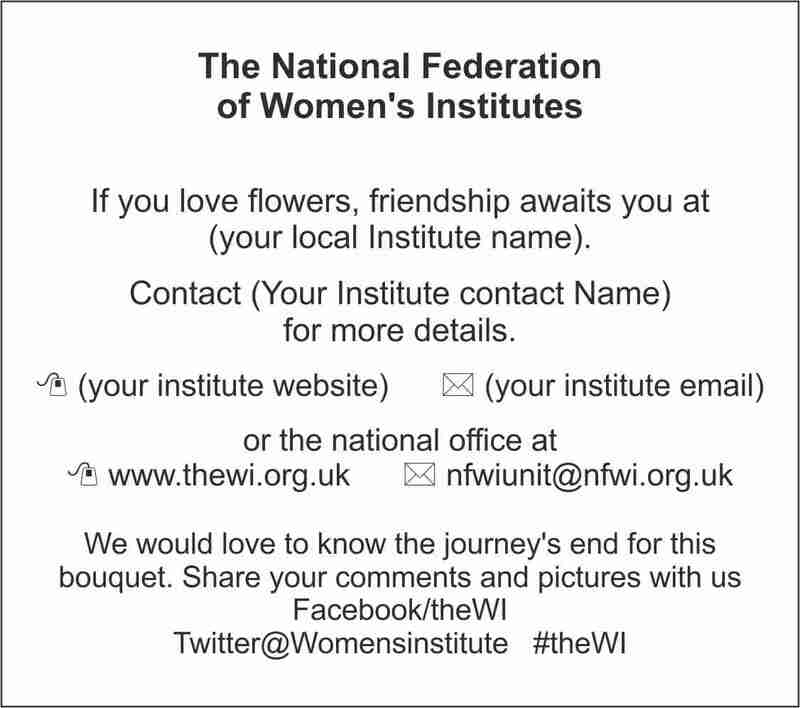 As we have over the last few years, we will print personalised tags for any florist shop or flower arranging society (and now Women's Institute) that wants to take part completely FREE of charge. We think it's a brilliant idea and a great opportunity to bring a smile to lots of faces with the power of flowers, and in the process generate some great positive publicity for your society or institute, so we're happy to help as many as possible. The reverse of the tag for flower arranging societies. This will be personalised with the details you give us. The reverse of the tags for Women's Institutes. 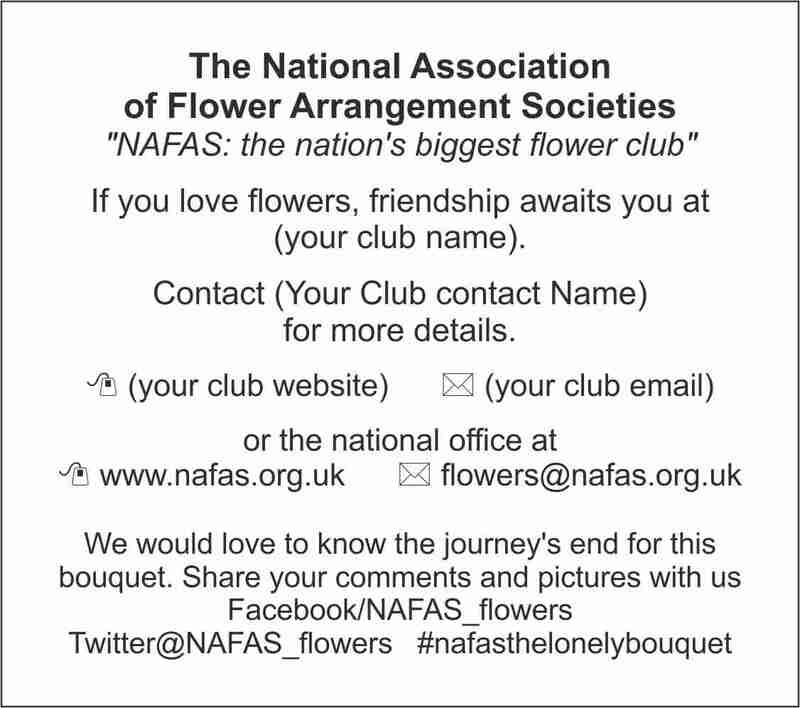 For any flower arranging club or society and any WI in the UK who wants to take part, we'll print a batch of the tags with The Lonely Bouquet message and your email or facebook address on 350gm card and send it to you with some cello envelopes completely free of charge. All you need to do is fill in the little form below with your details and we'll send them to you.